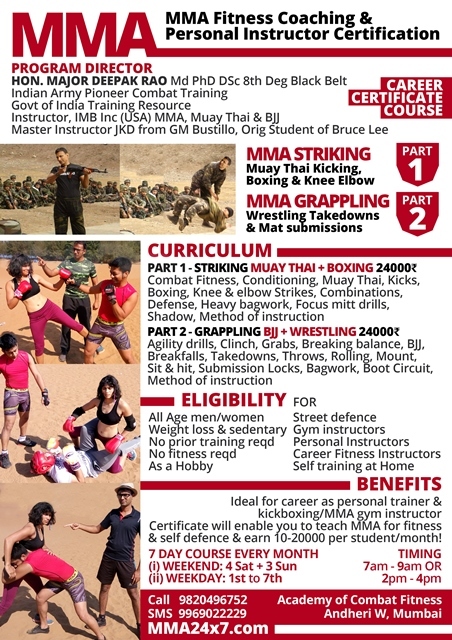 The only fully dedicated Martial Arts & Combat Fitness academy in India with 60 International Certificate courses for adult working men & women with largest Blackbelt fraternity in India (2500 BBs) Scientific Training is conducted by Ex Military Instructors, Martial Artists, Doctors, Physiotherapists & Dieticians. 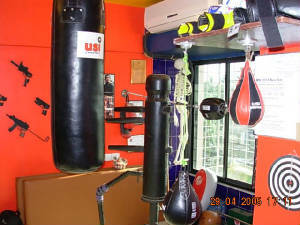 Get Fighting Fit, Learn Self Defense, Lose Fat & Have Fun! 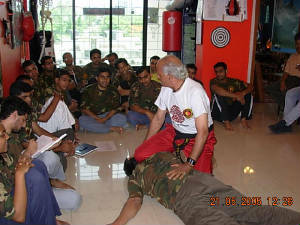 ACADEMY OF COMBAT FITNESS is the first institution in India totally dedicated to teaching COMBAT to the Working Adult Man and Women. At ACF we run 60 INTERNATIONALLY recognized CERTIFICATE Programs of 3-12 months duration with Flexible Timings & Weekend options to suit every AGE, BODY TYPE, PERSONALITY & NEED. 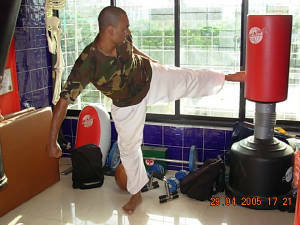 Most of our programs deal with newer, more modern and exotic martial arts not easily available in most parts of the world. 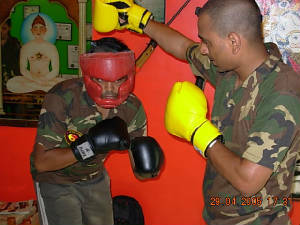 We are the ONLY Academy in India to teach Combat scientifically with a standardized international CURRICULUM, most Modern imported EQUIPMENT & personal ONE On ONE Attention tailor making the course to suit each and every Individual. We are here to help you accomplish whatever it is you set out to do. Whether it be getting in great shape, learning self defense, building confidence, relieving stress, or getting into the best shape of your life, we have it all! 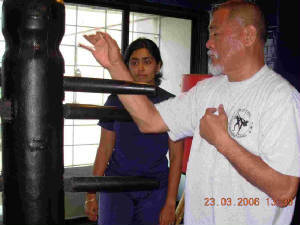 Martial Arts is one of the most powerful tools in creating positive change. Through the training you'll not only condition your body but your mind as well. Join one of the fastest growing workouts in the nation! 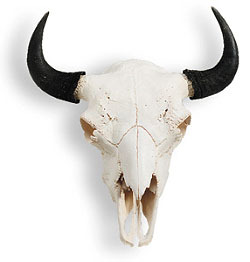 You will kill two birds with one stone by getting the ultimate workout combined with the ultimate in self-defense. Work out with a purpose! Training in the martial arts is anything but boring. It's a high energy, fat burning, stress reducing, supercharged workout! You will be in much better shape after just a few weeks of our course! Your confidence will sky rocket! It is never too late to start learning the martial arts. It is perfect for men and women in their 30's, 40's, 50's and up! Our training environment is friendly and motivating so you can learn at your own pace. Our programs are very beginner friendly, so don't worry about having any experience or being in decent shape. It is our job to get you to reach these goals. Welcome to the Twentieth Century Martial Arts. 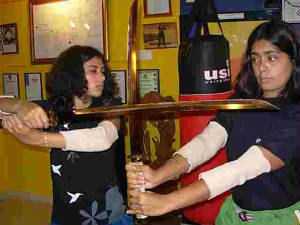 There are many more modern martial arts surfacing other than Judo, Karate & Taekwondo. In the west. the face of Modern Martial Arts has radically changed. 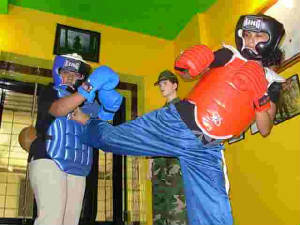 Martial arts are now taught with sports gear like track suits, shoes, with an informal atmosphere, with lots of explanations & tailormade to each & every individual need. 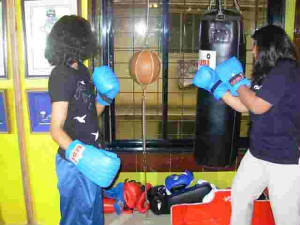 Contact fighting is taught systematically, initially on cooperative partners & later on uncooperative tough opponents. All training is hands on with protective equipment rather than popping air with punches & kicks & believing these will work in a street fight! In Mumbai & India, these newer arts are yet to come on a large scale. 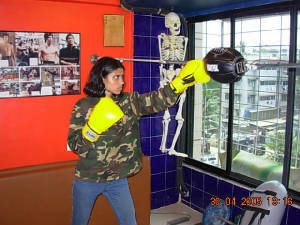 We are pioneering the era of modern martial arts in Mumbai. 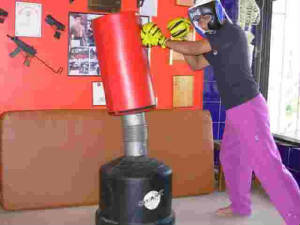 Nowdays you can also do Martial arts crash courses without devoting years for winning on the street. These arts are slightly expensive, as most teaching is personalized & taught in small groups of 2-5 students. Courses are of small duration - few months to few years. These arts are also taught only in our Academy. So you may have to travel from your home or office to reach there. But it is well worth the time, as you end up becoming good in a very short span of time. And these classes offer weekend training, Sats or Suns in addition to weekdays. Timings are in slots from morning 0600 hrs to evening 10 pm too. Thus enabling the working man or woman to hop in & out of class, before/after work. These Arts make the quest for Fitness interesting, breaking the monotony of the gymnasium and offer recreational interest to the tired, bored overworked metro man. CHANGE YOUR PERSONALITY VIA COMBAT! Dominated by others in work place? Afraid of traveling during night? Low Energy, Stamina loss, Joint & Back Stiffness? Need more confidence in dealing with others? Have you ever been mugged or robbed? Are you worried that your family may suffer during Riots? Sedentary Life, Over Weight, Bad Health, BP,& Stress? 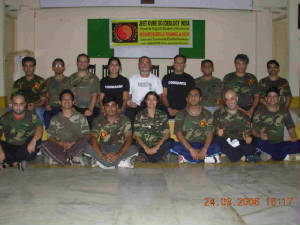 NOW U CAN CHANGE YOUR LIFE, ATTITUDE & HEALTH BY LEARNING COMBAT ON WEEKENDS! 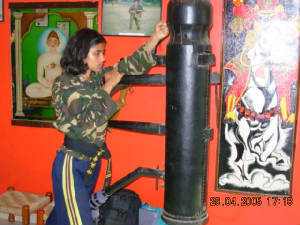 COMBAT FITNESS IS THE MOST MODERN METHOD OF FITNESS AS IT NOT ONLY HELPS IN FITNESS, BUT ALSO MAKES BRINGS OUT THE FIGHTER IN YOU, CHANGES YOUR ATTITUDE & KILLS STRESS. Better learn from the best!